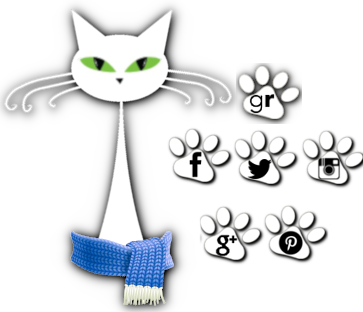 herding cats & burning soup: Randomly Random--Want to actually SEE those fan pages you LIKED on Facebook? 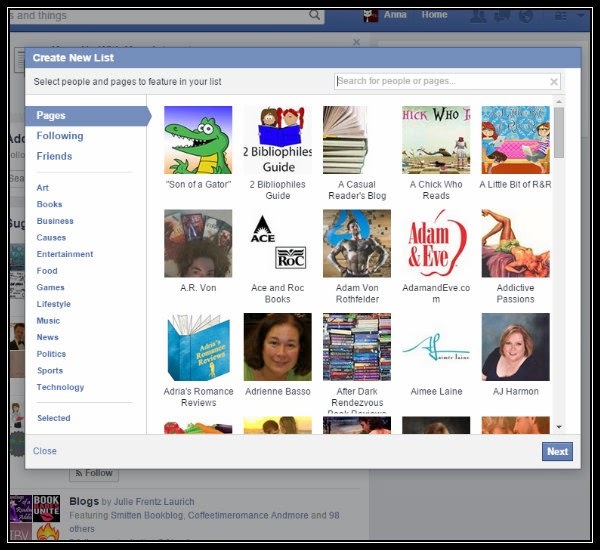 Randomly Random--Want to actually SEE those fan pages you LIKED on Facebook? Being able to actually SEE the Fan Pages you LIKE on Facebook is an endless battle in the reader-y world. So often the pages you like...just don't show up in your feed. 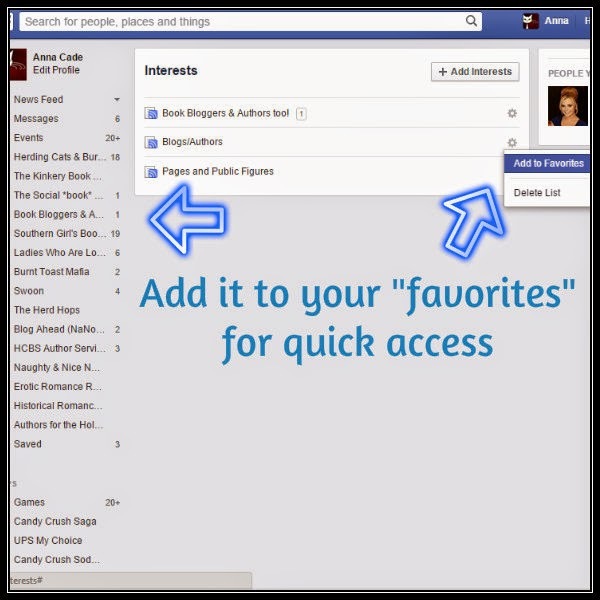 But there are a couple things you can do to make sure you see what's going on with your favorite fan pages. Or at least a way to up your odds of seeing them. My favorite is to create an Interest List. And it's actually pretty darn easy. And you'll be seriously surprised how much you've been missing. 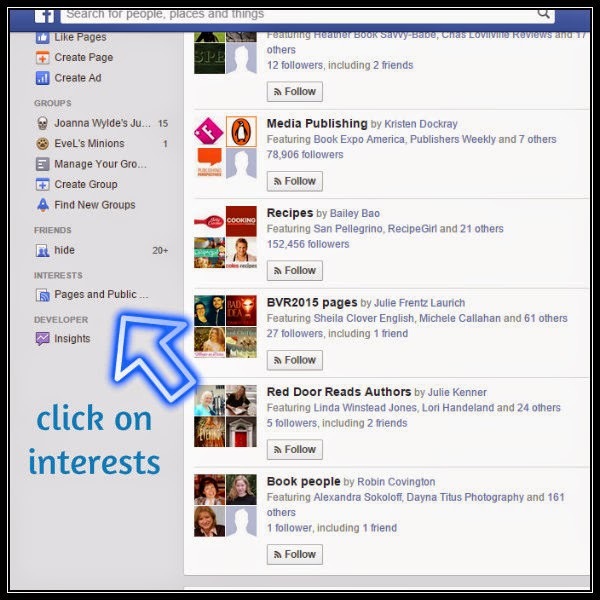 First step is on your main FB page scroll down until you see "Interests"
Click on that lightly grayed out link that says Interests. It'll bring you to this page. You can create as many different groups as you'd like. Then on the next page Create List. This will pop up a window of all of the fan pages you currently like. Plus a list of your Friends. And people you follow but aren't friends with. 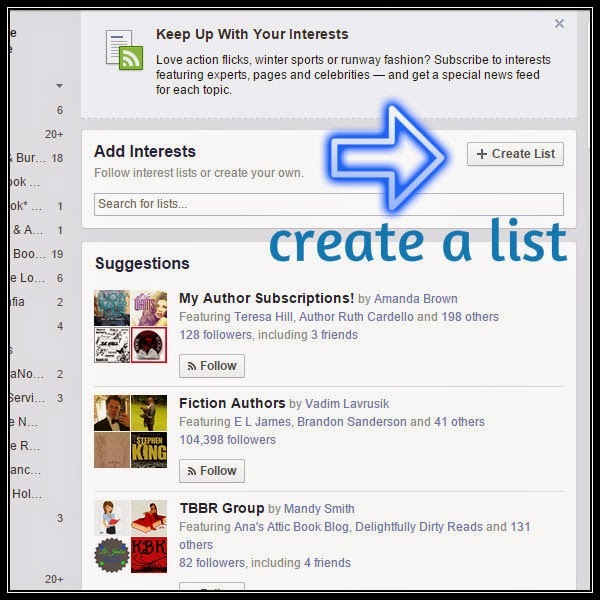 Click on any of the Fan Pages or Friends you'd like to add to your Interest List. 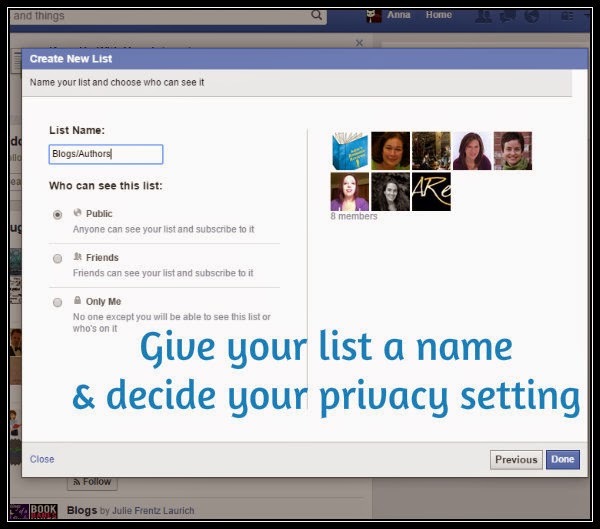 Now you need to name your list. And decide if you want to set it to Public--anyone can see it, Friends--only your friends can see it, or Only Me--you'd be the only one able to see the list. 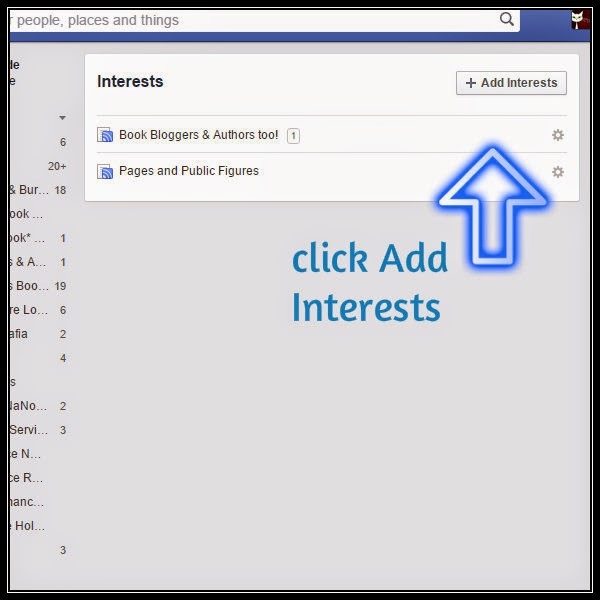 If you'd like to add it to your Favorites list so it's higher up on your FB "bar" go back to the Interests page and click the little wheel and Add to Favorites. It'll now be listed in your top links on the left upper side. 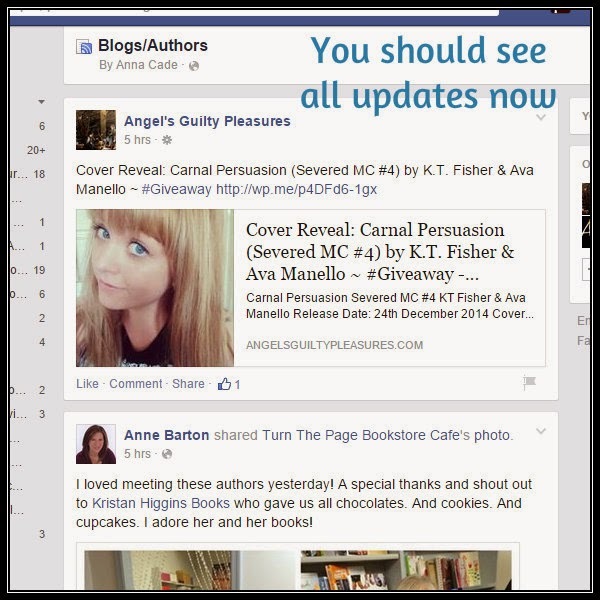 Any time you want to check out what's happening on those pages just click the link to the list and they'll show up like your regular FB feed. I don't know if it shows 100% of posts but it shows a heck of a lot more than your regular feed does. I was really amazed how much of a difference. Annd that's it for this time. If you give it a go let me know how it works out!